This short I love you message, accompanied with our “I Love You” Gold Rose in Different Languages, is sure to be remembered for a lifetime. 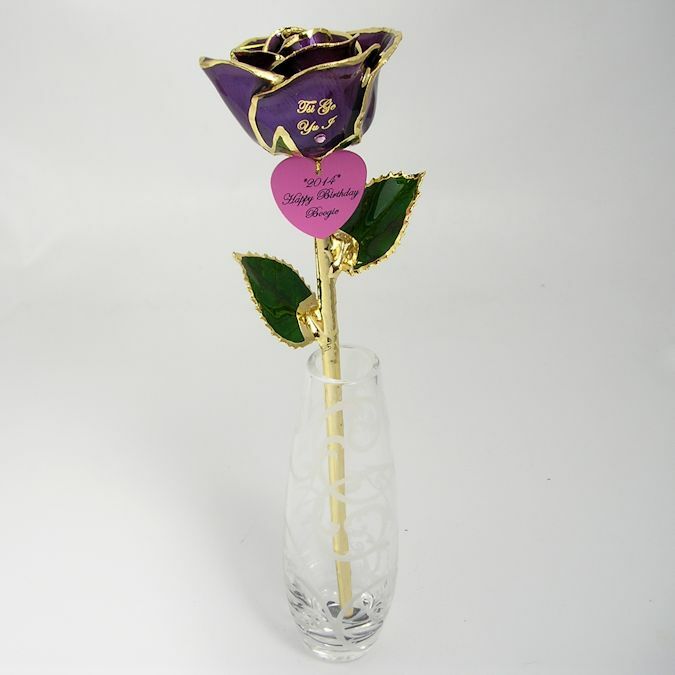 This customer chose the purple petal color and chose the Cherikee language to say “I Love You” or “Tis Ge Yu I” on the rose petal. He also added a personalized heart charm to hang from the rose and displayed it in a beautiful vase with a cute plush stuffed pink bear holding a mini 24k gold rose pin to go along with it. This wonderful personalized gift arrangement made a stunning presentation and most definitely will make a lasting impression in her heart.